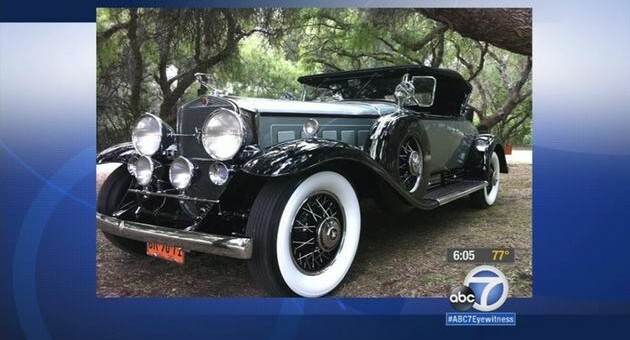 According to this ABC News affiliate report, a 1930 Cadillac V16 Roadster was recently stolen from Nicks Old Car Specialty while awaiting pick-up from a client in Redlands, CA. Nicks stated that the crooks entered the property by cutting the lock to a gate and stealing the 2002 Pace American trailer which held the valuable classic Cadillac inside. Nicks also stated that he believes the car will eventually pop up as the car is extremely rare and will be noticed by many classic car enthusiasts. Not that we expect these thieves to have thought this through very well, but they sure have a lot working against them. The trailer containing the car is easily identifiable, the swiped classic Cadillac is sure to be noticed, and the insurance company is offering a worthwhile reward for any information on the missing Cadillac Roadster. We wish Nicks and all other affected parties the best of luck, and hope the precious Roadster is returned in one piece. Update: the Cadillac V16 has been found, not too far away from where it was nicked at Nicks. Very quick precise 1 sentence story. Hope no damage was done to it.